People walk into a Sears store slated for closing that is next to a mall that is being torn down in Overland Park, Kansas, July 8, 2017. Sears has filed for Chapter 11 bankruptcy protection Monday buckling under its massive debt load and staggering losses. The company once dominated the American landscape, but whether a smaller Sears can be viable remains in question. The retailer, for years called Sears, Roebuck & Co. and famous for its massive catalog, boomed in the decades after World War II along with a growing middle class. But it wasn’t able to keep up with shifting consumer habits as online rivals including Amazon.com siphoned off shoppers, while turnaround efforts were hobbled by mountains of debt. Sears, which sold everything from Craftsman tools to Kenmore appliances, lost its footing in the 1980s with expansions into financial products such as banking, mortgages, insurance and credit cards. Walmart supplanted Sears as the biggest retailer in the early 1990s. The retailer listed more than $10 billion in debts and more than $1 billion in assets in its filing, and said it is seeking to reorganize around a smaller base of profitable stores. Sears and Kmart stores will remain open with help from $600 million in new loans, but the company will shut 142 unprofitable outlets near the end of the year, on top of 46 unprofitable stores already slated for closure by November. “While we have made progress, the plan has yet to deliver the results we have desired, and addressing the company’s immediate liquidity needs has impacted our efforts to become a profitable and more competitive retailer,” Lampert said. The company already has commitments for $300 million of debtor-in-possession financing from its senior secured asset-based revolving lenders, according to the statement, and it’s negotiating a $300 million subordinated DIP financing with ESL. The hedge fund held about $2.5 billion in Sears debt as of September, the result of multiple attempts to keep the chain afloat. 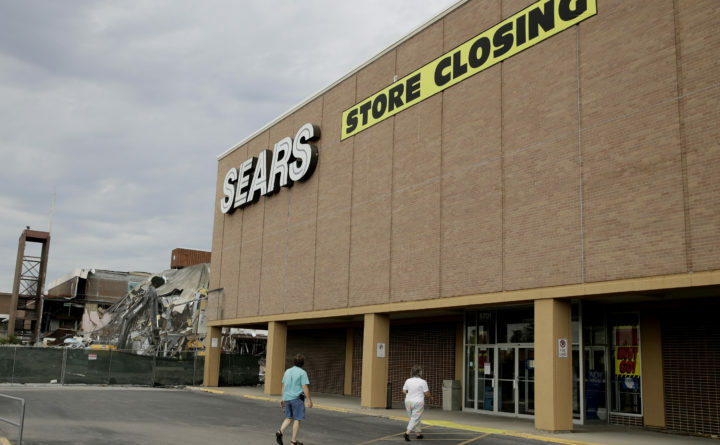 Lampert tried multiple strategies to revive Sears since using the Kmart chain to acquire Sears in 2005, sometimes with his own money. He’s shuttered hundreds of money-losing stores, cut more than $1 billion in annual expenses, and spun off units such as Lands’ End. Bloomberg writers Lisa Wolfson and Finbarr Flynn contributed to this report.